76ers: Field Goals 39-84 (46.4 percent), 50 rebounds, 31 assists, 10 turnovers. Mavericks: Field Goals 38-88 (43.2 percent), 49 rebounds, 27 assists, 15 turnovers. 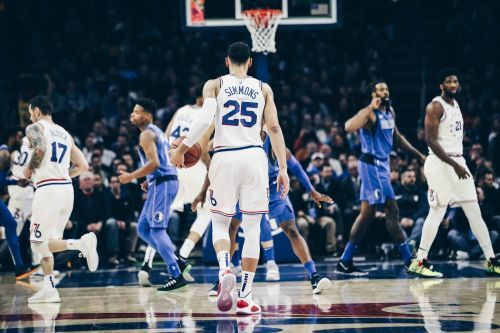 Coming off a five-game road trip and with the Dallas Mavericks in the Wells Fargo Center, the 76ers secured a great win with Joel Embiid and Ben Simmons shouldering the team. Jimmy Butler missed his second consecutive game due to upper respiratory infections. The 76ers went on to lead the game by as much as 19 points in the second half. While the bench didn't capitalise well, the lead was cut to four points in the last minute. Embiid sealed the 76ers' victory with clutch free throws. He added a game-high 25 points, 12 rebounds and 5 assists while shooting 7-17 from the field (10-11 free throws). The reigning ROTY, Simmons, posted an impressive triple-double in the win, his sixth of the season. JJ Redick added 20 points for as the 76ers improved to 17-3 at home while winning 4 out of the last 5 games. The 22-year-old rookie Jonah Bolden who has been promoted to the forward position due to the absence of Wilson Chandler, contributed 11 points (4-8 FG, 0-2 3Pt, 3-6 FT), 9 rebounds, 3 assists, and 2 blocks in 29 minutes. The Mavericks had a rough night both at the offensive as well as the defensive end. They were just catching up to the 76ers' score the entire night and never led the scoreboard in the second half of the match. The "Wonderboy" Luka Doncic ran out of his magic, he shot 4-16 from the field finished with 14 points and 8 rebounds. Neither their big man DeAndre Jordan could play to the potential. He didn’t play the final two-thirds of the fourth quarter due to a left-hand contusion. Jordan contributed 8 points and 8 rebounds in the 31 minutes he played. Here are some takeaways from the game as the 76ers routed the Dallas Mavericks. 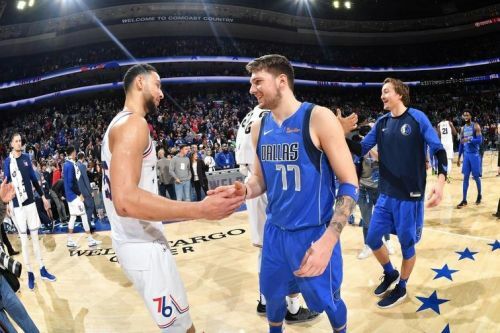 With Doncic visiting the 76ers' home-court for the first time, expectations were high that the crowd will get to witness a good duel of the young talents. But the 4-game road-trip seemingly resulted in fatigue to some extent. Luka and the Mavs ran out of gas while playing their ninth game on the road over their last 11 matches. Luka couldn't connect shots and also failed to set up plays for fellow mates. He shot a terrible 4-of-16 from the field and finished with 14 points and 8 rebounds. Also, he converted only one 3-pointer of the 8 attempts that he took. What proved to be promising was Simmons' performance and his new mid-range turnaround jumper. The Aussie superstar scored a monstrous triple-double with 20 points, 14 rebounds and 11 assists. His play-making ability and inside scoring is known all over the NBA but he is making some noise with his newly incorporated jump-shot. It is highly being anticipated that both Doncic and Simmons will make it to the All-Star game this year, but the fans will have to wait for a duel true to its nature between the overseas stars.